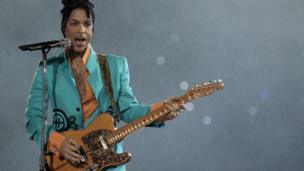 US singer and musician Prince has died at the age of 57 at his Paisley Park compound in Minnesota. 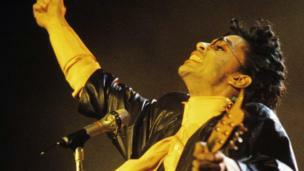 Prince Rogers Nelson, known by most as Prince, was an American singer, songwriter, multi-instrumentalist and actor who electrified popular music for more than three decades with his unique creative talent. His music blended rock, R&B, soul, funk, and pop, mixing old and new, and made him one of the best-selling artists of all time. 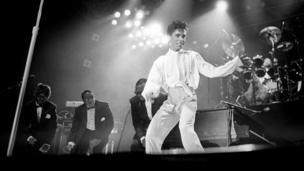 His 1979 album Prince, which included I Wanna Be Your Lover, went platinum. He followed it with Dirty Mind, Controversy and 1999. Performing onstage during his concert at the Zenith venue in Paris. 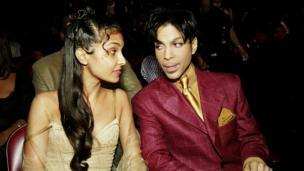 Prince was a formidable songwriter and penned hits for others including the Bangles, Sinead O'Connor, and Chaka Khan. He was also a hugely talented guitarist and multi-instrumentalist. Seen here performing during half-time at the February 2007 Super Bowl in Miami. 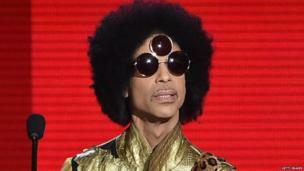 Prince was a man of many guises and that included changing his name. 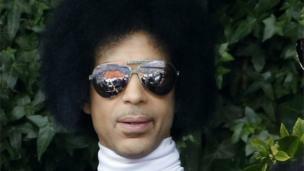 He is pictured here after a news conference in 2000, at which he announced he would be known as Prince, not the unpronounceable symbol he had been using for several years. His huge body of work won him numerous Grammys, a Golden Globe and an Academy Award. 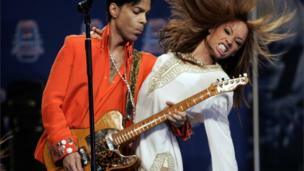 Here, he performs with Beyonce at the 2004 Grammys in Los Angeles. Prince was no slouch in the dress department, and alternated between wildly eccentric and creative outfits, and finely tailored, often colourful, suits. 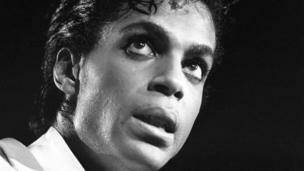 Over the years Prince was romantically linked with a string of high-profile women, including Kim Basinger, Madonna, and Carmen Electra. 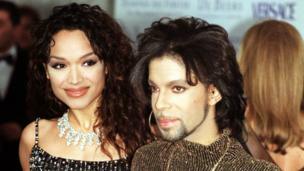 When he was 37 he married his 22-year-old backup singer, Mayte Garcia, pictured here. The pair had a son, Boy Gregory, in 1996, but he died a week later from a rare genetic disorder. 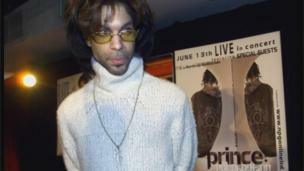 Prince and Garcia divorced in 1999. In 2001, he married Canadian businesswoman Manuela Testolini, who he met while she was working for his charitable foundation. Testolini filed for divorce in May 2006. Performing at the 10th Anniversary Essence Music Festival in New Orleans, Louisiana in 2004. Few doubted his exceptional talent. Rolling Stones magazine ranked him 27th in its list of the 100 greatest artists of all time. Seen here performing at the 47th Montreux Jazz Festiva in 2013. 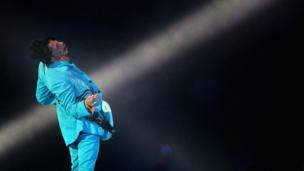 Prince caused controversy at the 2007 Super Bowl half time show when, projected as a huge silhouette, he stroked his guitar neck in a manner which appeared to some to be sexually suggestive. 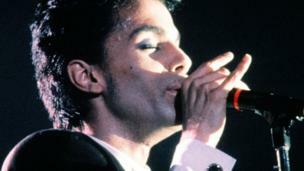 An often highly-sexed performer and lyricist, it was not Prince's first brush with controversy. 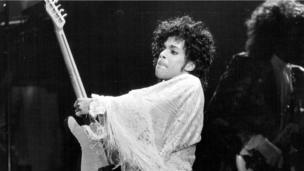 Prince was widely regarded as one of his generation's most consumate and captivating performers. Seen here onstage at the Bercy venue in Paris, 1987. 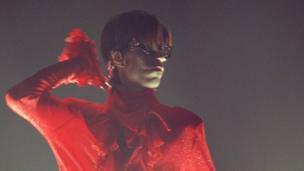 He was also one of his generation's most consistently inventive and unusual style icons. 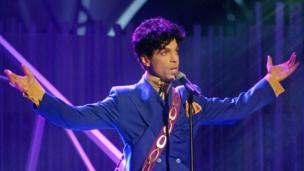 Performing his hit song "Purple Rain" at the 46th Annual Grammy Awards, 2004. 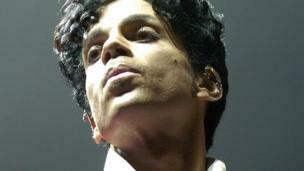 Prince in Miami Beach, 2007. 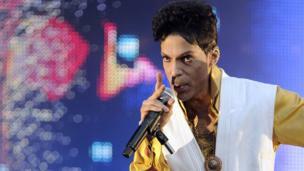 Some say his Paisley Park estate could be housing a cache of unreleased music that would fill 100 records. Watching tennis at the French Open in 2014, sporting a large afro similar to the style he wore as a teenager. 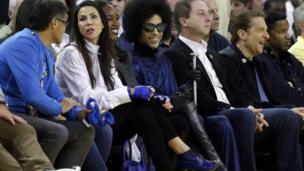 At the Golden State Warriors and Oklahoma City Thunder basketball game in March this year. 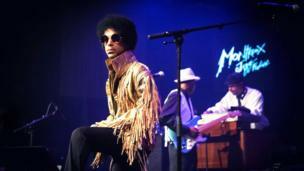 Prolific until his final days, he was working on a new album and planned to continue touring. Prince's death was met with a huge outpouring of grief around the world. US President Barack Obama said the world had "lost a creative icon".